Ginta — It’s a done deal – But did you know about it? 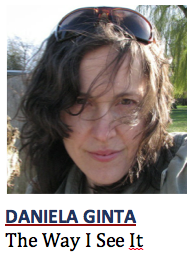 Daniela Ginta writes for The Armchair Mayor News on Fridays. COLUMN — On Sept. 12, 2014 the controversial Canada-China Foreign Investment and Promotion Agreement (FIPA) was ratified by the Harper government in a secretive manner, blatantly unbecoming of its important nature and long-term consequences. Harsh criticism by many, loud accusations of a major sellout and the chills of having our country’s values betrayed once again by a government that seems to forget its true mission, that is all part of the package. Media and us people relying on it for the daily newsfeed, function in a form of an awkward symbiosis: it’s not the truly worthy news that get the front page because they are not entertaining enough to most people, and the few to whom they are cannot bring up the numbers in a way that counts, financially speaking. More often than not, people want glimpses of celebrities’ lives, whether they are ill, get married, have babies or die. Sad but true, and double-edged sword; we can shape our society with our choices but do we exercise them the right way? If we don’t someone will make them for us. The very topic of this column is one sad example. To not know the implications of such an agreement because we were not presented with it before a decision was made should make us wonder about how the upcoming elections. Being in charge of a country that has so much potential is no light deed. Understanding that today’s decisions shape our children’s tomorrow should make one stand in awe of it and ask themselves: do I really have what it takes? The press release that accompanied the signing also mentions the sectors of interests for the Chinese companies that want to invest in Canada: mining, oil and gas extraction. If you’re still rattled by the Northern Enbridge pipeline indignity, the treaty will seem more lugubrious than ever because once October starts (treaty comes in effect starting Oct. 1), who knows what lies ahead. 7 Comments on Ginta — It’s a done deal – But did you know about it? The book Canada Inc. is also a must read to help understanding Canada’s role in the world’s order. One has to wonder though, where was the official opposition throughout all the phases required to get this treaty up and ratified? I definitely do not need to read anymore writings about S. Harper and the conservative to realize their unworthy role as Canada’s governors. Thanks Daniela, is it a guaranteed retirement plan for the PMO’s boys in short pants? After 1st Oct. 2014, China’s companies can sue Canada if any Canadian government – including our provinces – makes any decision that puts our health, jobs and environment before their profit. Worse yet, these suits would be decided by unaccountable arbitrators in secret courts outside our legal system. Great article. This treaty was totally off my radar. Reading Gus Van Varten’s letter makes it very clear that this treaty puts Canada in a extremely vulnerable position. To add to this, a recent article in the Globe and Mail describes how the Harper govt is circumventing normal procedure to appoint supreme court judges. The next election can’t come soon enough. This unfortunate and lop-sided treaty is just one more example of StephenHarper’s self-aggrandizement at the cost of ordinary Canadians and Canadian sovereignty. It wa forged in secrecy, never vetted by our Parliament, and signed by one man who clims to know what is good for Canada and Canadians for the next thirty years. I can only hope the voters will turf him before he can sell our heritage entirely. We won’t see all of the damage done to Canada’s democracy until long after the Harper government has left the building. Openess and accountability under Harper is muzzled , MP’s, Scienctists,Generals and media . The recent “rock snot ” story and the RCMP “Bitumin Bubble “squad are examples that it is not our government any more . It is a government of deficits , ethical,environmetal and financial to pass on to the future. Maybe its time to go network ?